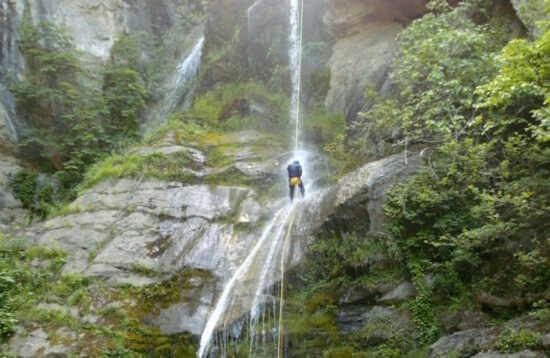 Mt Kissavos (Ossa) is one of the very few areas in the country, including the canyons of Mt.Olympus, which offers so many different canyons and canyon sections at such close range. 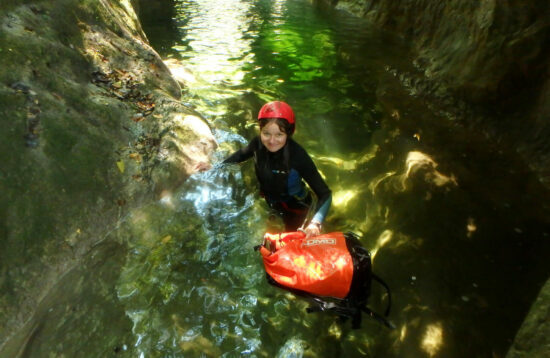 After the hard work that the Olympos Trek people put for the development of the canyoning in the area, we are happy to say, that we can now give the great opportunity to everyone to enjoy this wonderful activity. 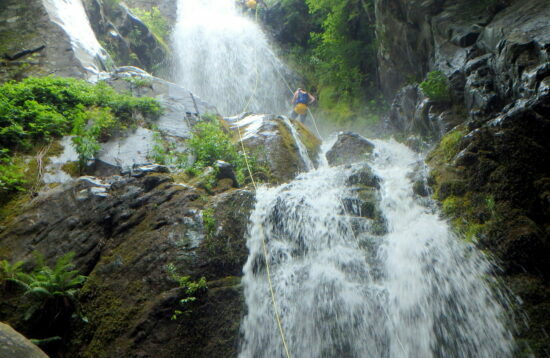 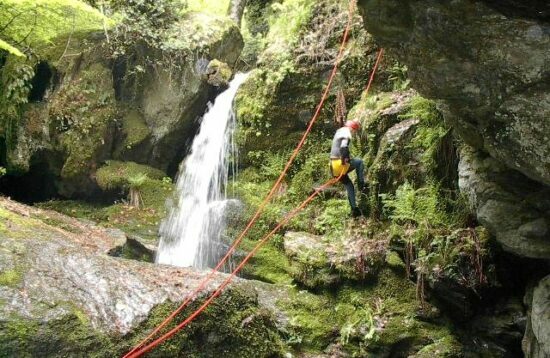 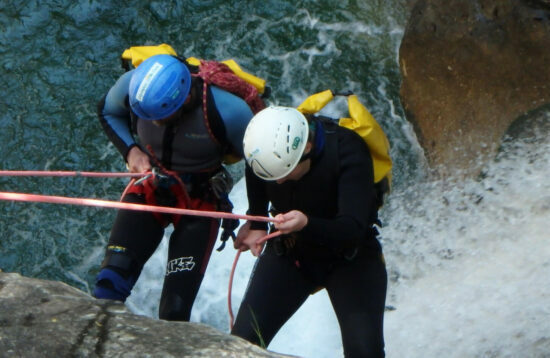 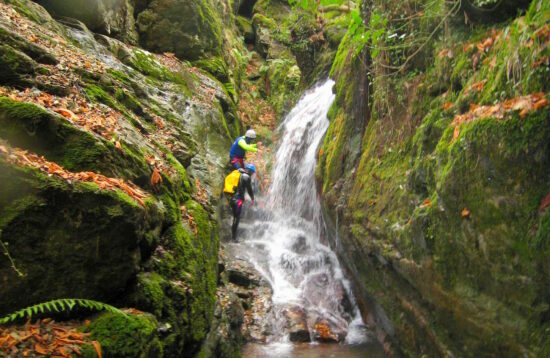 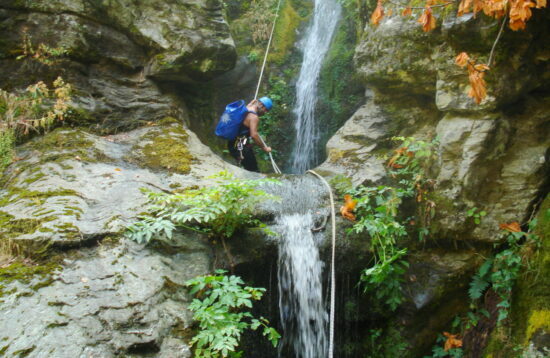 In the area of the north east Kissavos, Olympos Trek has brought canyoning to be one of the most popular outdoor activity, with an always increasing number of fans. 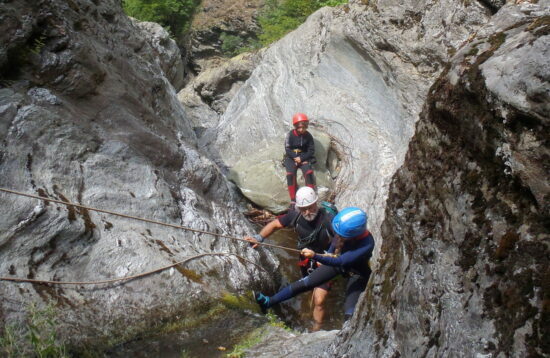 We talk about impressive and breathtaking beauty, as well as plenty of adrenaline! 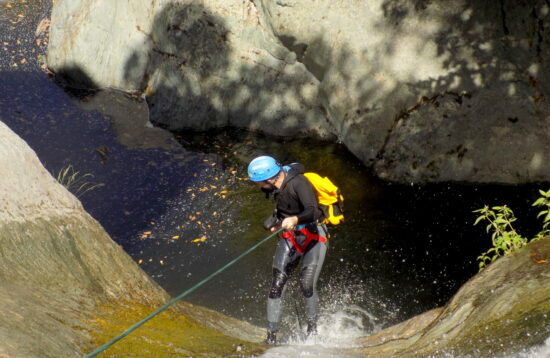 Ten wonderful canyon sections, with their crystal-clear pools and waterfalls, are waiting for you to enjoy. 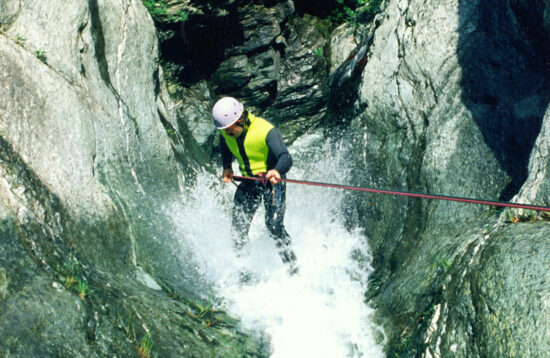 It is after all, an amazing non – stop game for old and young, experienced and beginners!